Pour yourself a cup of hot cider, grab a plate of molasses cookies, and join us for our 13th annual holiday tradition filled with funny and heartfelt stories and songs to shine a bit of sunlight on the dark days of winter. Featuring brand new stories written by Chris Bohjalian, Geoffrey W. Gevalt, Stephen Kiernan, and Kathryn Blume. Poetry brought to you by the Young Writers Project, and songs written and performed by Patti Casey and Pete Sutherland. Get dressed up and join us on December 10th at 6pm for our Annual Winter Tales Gala. 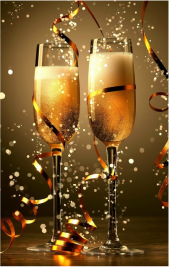 Featuring a preshow reception with hors d'oeuvres, a silent auction, and complimentary champagne, followed by a special performance of Winter Tales. This evening makes for a great holiday date night! 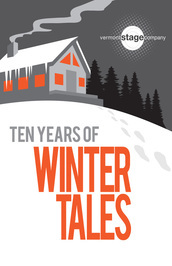 Three seasons ago, in celebration of the 10th Anniversary of Winter Tales, we published a limited edition Ten Years of Winter Tales book which features 25 of the best stories read at Winter Tales over the past decade. Including stories by Vermont legend Willem Lange, New York Times best-selling author Chris Bohjalian, State Senator Philip Baruth, and local eco-activist Kathy Blume.